Three years ago today, Seth and I got married! We've had a fun 3 years laying the foundation for our little family and home. We celebrated year one by buying ourselves a puppy we named "Three" in honor of the occasion. She arrived from Missouri the Saturday after Thanksgiving and we've been in love with her ever since. 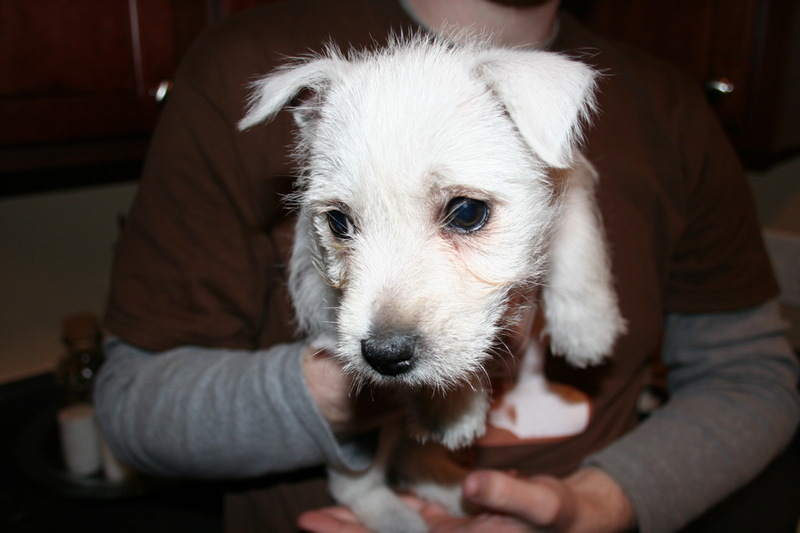 The picture is one of the first we took of her the very first night we brought her home. 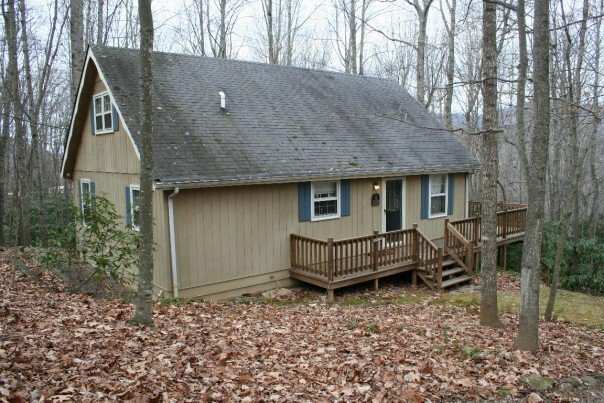 Then we abandoned our new puppy after one week (we let her Uncle Cameron keep her since he lived next door) to take an anniversary trip to Black Mountain to stay in my Uncle Abbey's mountain cabin. 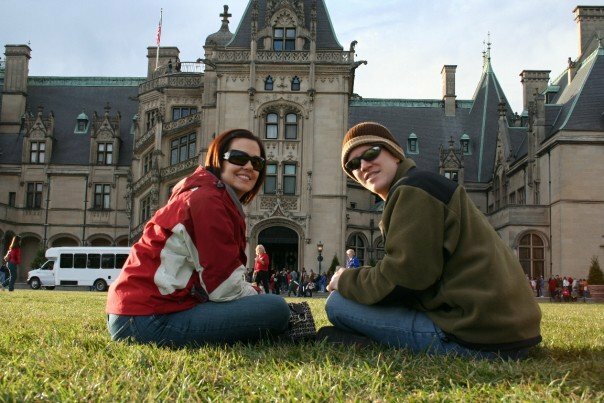 We went to the Biltmore House and took a night-time Christmas tour which was fun (Diggle went, too) and something I had always wanted to do. When we got back to the cabin, I cooked a yummy meal and we brought out the top layer of our wedding cake, which was just as fabulous a year later as it was on the day of our wedding. I was happy to get to eat an entire slice rather than the one chunk I got on our wedding day. Then we curled up and watched our wedding video by the warm wood stove. Hmm...year 2. I don't remember what we did! OOPS! I'll get back to you on that. I'm sure we did something. Year 3...we have no plans for year 3. No gifts, no muss, no fuss. We've indulged in a new house, new furniture, and new toys this year so I don't think we could ask for much more without sounding like greedy little children. For me, just to look back at this past year and see what Seth has done for me with no complaints, no grumbles, no difficulty - that's gift enough. I don't think I deserve such a patient and kind husband, but I'll take him! It's been a rough year for me and I know I wouldn't have fared so well without my Seth. Congrats Kelley & Seth! I hope that this year will be the best yet! Did somebody say "Those in need"?? ?